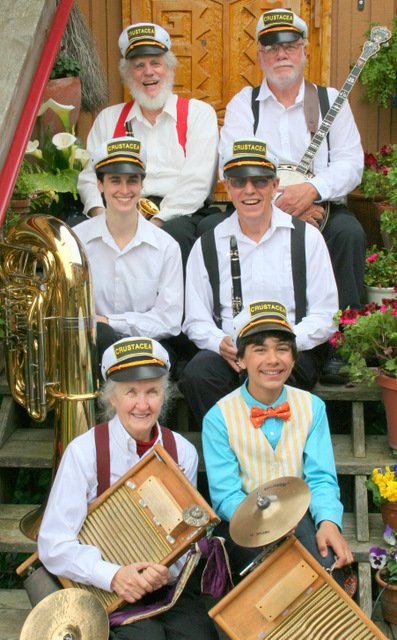 Crustacea Jazz Band plays danceable and swinging tunes in the New Orleans jazz style, tunes which were popular between about 1900 and 1935 and whose melodies still are often familiar. We are essentially a local jazz band playing the music of America. Since 2009 we have performed at over 200 celebrations, parties, and weddings.